#0233* – UKIP LOSES ANOTHER COURT CASE! UKIP LOSES ANOTHER COURT CASE! IN EMPLOYMENT TRIBUNAL CASE AGAINST UKIP! Nikki Sinclaire MEP has won her claim against the UK Independence Party on the grounds of Sexual Orientation Discrimination with her claim being described by Employment Judge Harper as ‘well founded’. A Remedy Hearing to determine which sanction will be taken will take place on the 29th December 2010. Ms. Sinclaire claimed her treatment by UKIP was partly due to her refusal to sit in the European Parliament with the Europe of Freedom and Democracy (EFD) Group which shares an allegiance with UKIP due to her misgivings about the ‘offensive’ ideology of Liga Nord and other extreme right-wing parties in the coalition. She states after her refusal, a campaign of intimidation followed from UKIP members, including Nigel Farage and Godfrey Bloom which resulted in the whip being removed and her being prevented from standing for the UK Independence Party as a parliamentary candidate in the General Election without any disciplinary procedure. Furthermore, other UKIP MEPs who refused to sit with EFD including Mike Nattrass were still allowed to represent UKIP which she believes is an example of the deep rooted homophobia within the party. Additionally, Ms. Sinclaire who is openly gay was subjected to discrimination by senior party members such as Godfrey Bloom who labelled her a ‘queer’. The Remedy Hearing will be held at Exeter Employment Tribunal at 10.30am. ‘I am extremely pleased with the tribunal’s decision. The treatment I received from UKIP is a sad indictment of how politics in the UK has not kept up in the 21st century. I have as much right as everyone else to express my beliefs and ask others to support my views. I should not have to suffer from such behaviour’. For further information please call Lindsay Cleland, Press Officer on 0121 359 5933 or Nikki Sinclaire MEP directly on 07941 461 255. #0163* – The Courts, The Peer & The UKIP Prole! an interesting article on Malcolm Lord pearson’s business – much has been made by some to try to convince UKIP members that Pearson was a sound and competent business leader as a qualification for his ‘stint’ as a stand in leader of UKIP to encourage Stuart Wheeler to make donations to UKIP as he had realised that as a professional gambler he recognised that putting money into UKIP would not be a wise bet, with Farage in situ. Many in UKIP will recall the poor judgement of Nigel Farage when he insulted his own MEPs on National TV to promote the interestts of the Peer and himself. A clearly incompetent action on the part of Farage which is born out by todays report in The Guardian of the trial by The Courts on the charges of The serious Fraud Office where Pearson’s defence was he hadn’y a clue what was happening in his own business! That Pearson hadn’t a clue will come as no surprise to more intelligent UKIP members. That Farage hasn’t a clue when it comes to leadership, man management, judgement or responsible behaviour will come as no surprise in his lack of loyalty to UKIP in the face of his self interest and his lack of loyalty to his own fellow MEPs and members. It is however something of a racing certainty that Farage will be crowned once more as leader, as the activists have largely departed from the party and the backwoodsmen and women have little knowledge of the true plight of the party seeing only the Farage controlled propaganda he issues, using staff paid for from the UKIP budget. Just as Pearson claims not to have had a clue what was happening within his business, Farage hasn’t a clue how to lead either. The former chief executive of a City firm founded and chaired by former Ukip leader Lord Pearson today admitted paying “very substantial bribes” to win contracts overseas. The 50-year-old chief executive, Julian Messent, pleaded guilty to funnelling corrupt payments of £1.2m to three officials in Costa Rica, although he claimed other senior managers at the firm knew about the bribes. Messent had run the PWS insurance firm from which Lord Pearson, who stepped down as Ukip leader in September, made his fortune. Hodge Malek, QC for the Serious Fraud Office, told Southwark crown court in London that the “very substantial” bribes were paid in 41 instalments between 1999 and 2002. The covert payments were routed through bank accounts in the names of the wives of two of the Costa Rican officials and through accounts in Panama and the US, and a travel agency in Florida. David Perry, Messent’s QC, said he had not concealed the illicit payments from other PWS staff. He added that the details were known to the heads of the finance department and the compliance unit, the internal watchdog responsible for monitoring the conduct of staff. He said it was clear that “the corruption could not have been conducted by Messent alone”. He also claimed that arrangements for the corrupt payments had been “inherited” by Messent when he became head of the firm’s Latin America department in 1996. Messent was appointed the firm’s chief executive in 2003 and resigned three years later after investigations into the payments began. Lord Pearson was chairman of the company when the corrupt payments were made. The peer was not suspected of any wrongdoing by the SFO. Last year, he told the Guardian that he knew “absolutely nothing about the alleged payments”. Malek told Judge Geoffrey Rivlin that the exposure of the bribery was “one of the factors” in the firm going into administration in 2008. He said that the SFO had decided not to prosecute PWS because the firm, which has been sold, had a “substantial deficit” in its pension fund. The only penalty the firm would have faced was a fine, and the SFO decided that any fine would only have been paid out of the pensions of the staff. He added that the SFO believed that Messent, of Beaconsfield, Buckinghamshire, was the “directing” mind behind the corruption. He said the three Costa Rican officials “were in an ideal position” to select which firm would get the contracts. Messent is due to be sentenced on Tuesday. It is the latest prosecution by the SFO, which is struggling to crack down on foreign bribery and rid Britain of its reputation for being lax over this kind of offence. 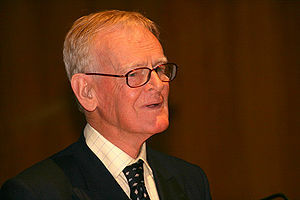 Margaret Thatcher made Pearson, an old Etonian, a peer in the 1980s. He and two others founded PWS when he was 22.